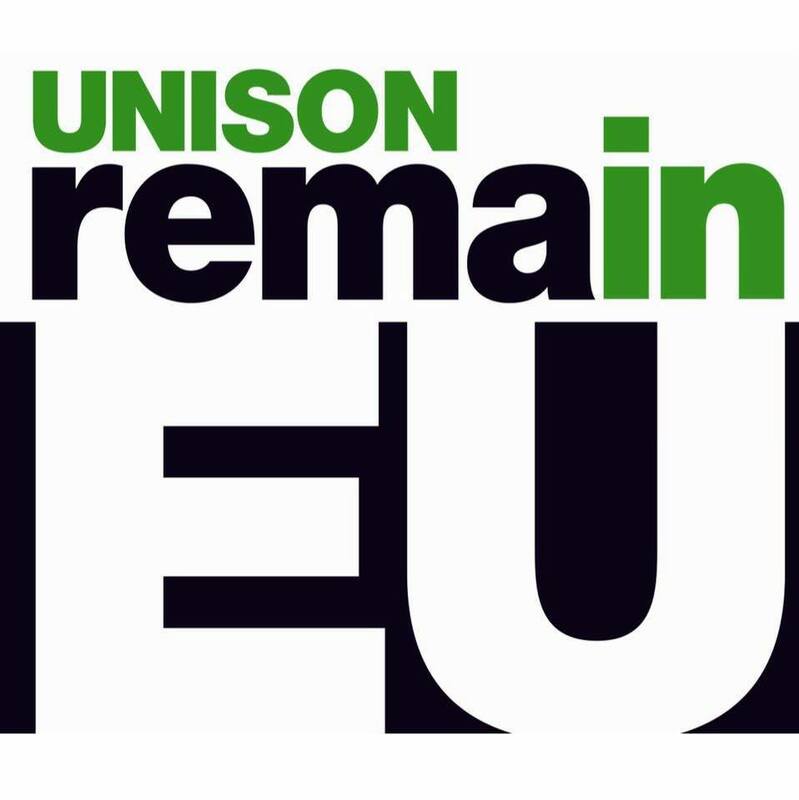 "On 23 June the UK must make a decision. The referendum gives us all the chance to decide whether to remain part of the European Union (EU) or whether to leave. It is an important decision for the UK and our future. UNISON knows the EU isn’t perfect – far from it – but we have looked in detail at all the evidence from both sides and have come to the view that our members’ interests are best served by remaining part of the European Union. As your trade union, UNISON is here to protect your job, your standard of living, and the public services that we rely on every day. We believe that leaving the EU will make it harder for us to do that". and "Another Europe is Possible" for the real Left progressive case to remain and reform Europe.